A place to discuss the music from the movie and the official soundtrack. I know so many give Catherine Hardwicke a hard time about doing a bad job with the movie (I think she did the best with the budget she had), but I do have to give her props for the soundtrack. I think she did a better job in this department. I've had no motivation to buy this soundtrack and I bought the one from the first movie. I LOVE this soundtrack. I loved Twilight's also. The songs all fit the mood of the story so well. I really like the Score too. It brings you right back to that moment in the movie. Desplat really did a great job. It will be interesting to see what happens with the composer for Eclispe and I hope that the same music supervisor for Twilight and New Moon is doing the rest of the films. I think her name is Alexandra Patsavas. She has done a fantastic job with picking great songs that fit the emotions of the movies. erkirtoerghrog I love the soundtrack. Most of the songs are my kinda music. The Twilight one would be my favourite if they had all original songs. Roslyn, Slow Life and White Demon Love Song are my faves. And Thunderclap, which was only on the Aussie and NZ version. Sorry, I'm not trying to be a troll. 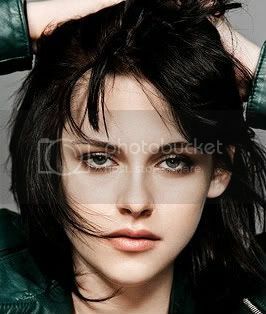 I just don't think Kristen Stewart is a good actress (if that is the post you are referring to). Like I've said elsewhere, I had no expectations before I saw the first Twi movie. I don't have anything personally against her and am not familiar with a lot of her work outside of this, but sorry if I offend you. It's not my intention. I'm just expressing my opinion. Isn't that allowed? Call me a troll if you want. I've praised other actors, SM, and such regarding the whole Twilight thing. By the way, I was praising the first movie's soundtrack. I don't think that counts as being a "troll" and I suggest you see my other posts before labeling me as such. It's just that none of the songs I've heard so far have motivated me to buy the NM soundtrack. Okay so I love this soundtrack. I wasn't too sure at first because I hadn't heard of most of the artists on it. (I only heard of Muse of course, The Killers and OK Go.) And that was the same w/the Twilight soundtrack (only heard of 2 artists and I love that one too) After listening it to a few times I love it! I could listen to it for hours. My favorite out of all of them is Muse's I Belong To You. I just love this song. I also like Hearing Damage, but mostly because of where it was placed in the move it was an awesome scene. Possibility is another favorite & goes sooo well with the spot they put it in the movie. Which can also be bad because it makes me think of the scene & makes me sad. Other favs would be White Demon Love Song, Done All Wrong, The Violet Hour (even ths too reminds me of the scene & how it caused all the trouble), Slow Life & No Sound But the Wind. Now I can only hope that DS does a good job with Eclipse's soundtrack too! I'm not into the soundtrack for this movie. Don't know why. There are like three or four songs I do like, and didn't see the point in purchasing the soundtrack if I didn't like the music in it. I absolutely love all the music on the soundtrack! Hearing Damage, Possibility, Friends and Slow Life are constantly on my mind. Did anyone else find it funny/ironic that one of the bands is called Black Rebel Motorcycle Club? I did, it made me laugh when I read their name. pennybug84 wrote: Did anyone else find it funny/ironic that one of the bands is called Black Rebel Motorcycle Club? I did, it made me laugh when I read their name. LOL! BRMC is awesome, but it's funny none the less. Maybe they'll be on the Eclipse soundtrack as well?